Vietnam), as well as to the civil rights struggle. 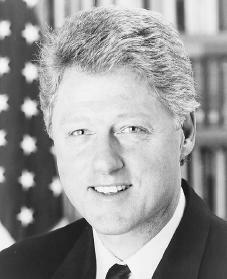 Clinton graduated from Georgetown in 1968 with a degree in international affairs. He was awarded a Rhodes scholarship, which allowed him to spend the next two years continuing his studies at Oxford University. In 1970 he entered law school at Yale University. After graduation, Clinton went into private practice as a lawyer in Fayetteville, Arkansas. He also began teaching at the University of Arkansas Law School. Did Bill Clinton lose his license to practice law for only 5 years after the Lewinsky situation or did he lose his license to practice law forever?